Future Little Rock Mayor Dr. Matthew Cunningham was born on July 5, 1782, in Pennsylvania. After receiving his medical degree from the University of Pennsylvania, he ended up in New York City. He also served in the Army during the War of 1812. It was in New York, he met and married a young widow, Eliza Wilson Bertrand. After a brief stint in St. Louis, Dr. Cunningham was one of the first settlers of Little Rock in February 1820. With his arrival, he became the first physician in Little Rock. In 1831, Dr. Cunningham was elected the first Mayor of Little Rock. He won the race with 23 vote to 15 votes over Rev. W. W. Stevenson. The first City Council meeting took place at the Cunningham house on the block which is the southwest corner of what is now 3rd and Main Streets. Records are incomplete as to where on the block the Cunningham house was located, but a plaque is on 3rd Street near Main on the side of the Fulk Building which CJRW now calls home. Dr. Cunningham served one year as Mayor. He lived until June 15, 1851, and is buried at Mount Holly Cemetery. His wife, son Chester, and the Hanger family are buried next to him. Because he lived for two decades after serving as mayor, he was able to see Little Rock continue to grow. His stepson – Charles P. Bertrand – also served as Mayor of Little Rock. While there have not been any Little Rock father-son combinations serve as mayor, Dr. Cunningham and Mr. Bertrand certainly shared a kinship. Descendants of Dr. Cunningham still reside in Little Rock. It was there he met and married a young widow, Eliza Wilson Bertrand. After a brief stint in St. Louis, Dr. Cunningham was one of the first settlers of Little Rock in February 1820. With his arrival, he became the first physician in Little Rock. In 1831, Dr. Cunningham was elected the first Mayor of Little Rock. He won the race 23 to 15 over Rev. W. W. Stevenson. The first City Council meeting took place at the Cunningham house on the block which is the southwest corner of what is now 3rd and Main Streets. Records are incomplete as to where on the block the Cunningham house was located, but a plaque is on 3rd Street near Main on the side of the Fulk Building which CJRW now calls home. Dr. Cunningham served one year as Mayor. He lived until June 15, 1851, and is buried at Mount Holly Cemetery. His wife, son, and the Hanger family are buried next to him. Because he lived for two decades after serving as mayor, he was able to see Little Rock continue to grow. Through Matilda Hanger and also the Bertrands, descendants of Dr. Cunningham still reside in Little Rock. 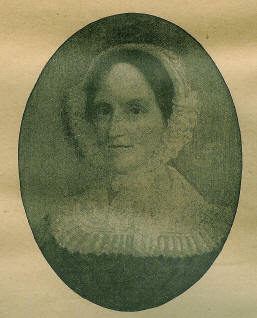 She became the first permanent female resident when she joined her husband Matthew Cunningham in Little Rock. She gave birth to Chester Ashley Cunningham, the first baby born in Little Rock. When her husband, became the first Mayor of Little Rock, she was the first First Lady of Little Rock. They hosted the first Little Rock Council meeting at their house on what is now the block downtown bounded by Third, Main, Fourth and Louisiana Streets. Her son Charles P. Bertrand, from her first husband, later served as Mayor of Little Rock, making her the only woman to be married to a Mayor and be mother of a Mayor.